Grappa is a fantastic way to finish any meal in Italy, but especially in the more northerly cities and towns. It certainly has escaped being known as a peasant’s beverage and is truly a refined treat. I like grappa. I often drink it after a nice meal as a way to relax and to help me to digest. I put a few drops in my espresso, for what Italians call caffè corretto. I drizzle grappa on my lemon granita and other flavored ices and even have it with chocolate. A number of years ago Michele and I wrote and article for Gourmet Magazine called “Cooking with Grappa.” The beautiful grappa chocolate cake appeared on the cover of the magazine. A friend invited me to a wine tasting. 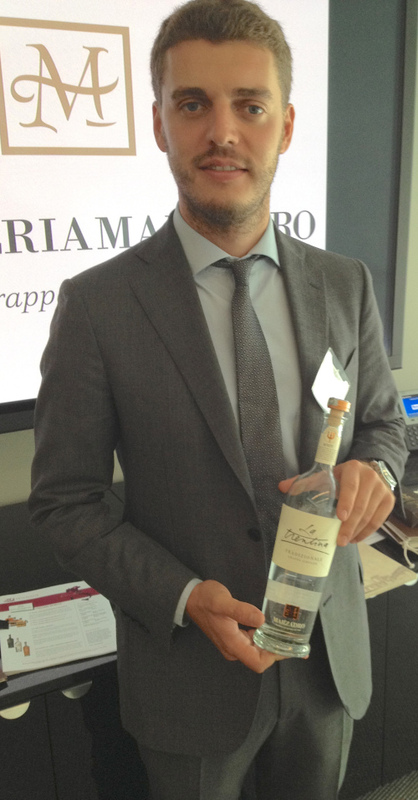 When I arrived, one of the wine reps told me that there was a grappa seminar starting in five minutes, would I like to attend. He knew me well enough to know that I would say yes.